Norwegian expedition cruise operator Hurtigruten has signed a letter of intent with Rolls-Royce for a major environmental upgrade programme to hybrid power, which will enable up to nine of its diesel-powered ships to reduce CO2 emissions by at least 25%. The deal comprises the supply of propulsion equipment to six existing passenger cruise vessels, with an option for a further three. The main engines will switch from diesel to LNG power and the deal includes installation of a battery system. 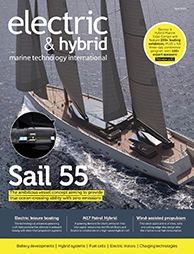 Specifically, Rolls-Royce is to deliver two of its Bergen B36:45L&PG gas engines and latest electrical power SAVe Cube system, which is designed with a single integrated drive switchboard for the whole vessel. Additional battery power will also be installed, and the propulsion system is planned to include Promas, which combines rudder and propeller into one fuel-efficient unit. 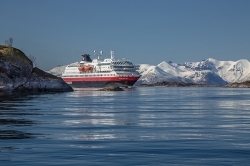 Hurtigruten was recently awarded licences by the Norwegian Government for seven out of 11 coastal ferry routes. The year-round service, on the passenger and cargo route from Bergen in the southwest to Kirkenes in the north, has 34 stops. The new tender period for the coastal route starts on 1 January 2021.